“The grape that’s easy to love.” Such, in a nutshell, is what Syrah-Shiraz is all about—that and a few other things. But when push comes to shove, there are few other red grapes worthy of the same adulation as this marvellous multi-named varietal. At home in virtually every warm-climate region in the world, though a few cooler places are also giving it a go, Syrah-Shiraz (the two names are the same) unquestionably ranks as one of the wine world’s greatest treasures. For the record: Syrah-Shiraz does not originally hail from the (now-) pariah nation of Iran, which just so happens to contain a city named Shiraz. In fact, Syrah-Shiraz originally hails from the northern Rhône, where it is simply called ‘Syrah.’ From more serious oenophiles, its parents are Dureza (red) and Mondeuse Blanche. In this part of France, and this part of the Old World for that matter, there is no question that Syrah reaches its greatest zenith of quality, depth, intensity, and refinement. In the northern Rhône, this vigourous varietal is often best suited to being planted on relatively south-facing, well-drained, rockier soils. Though heat is seldom a problem, Syrah will also react to overly excessive temperatures by ripening too quickly. A few facts well worth remembering. Top appellations? 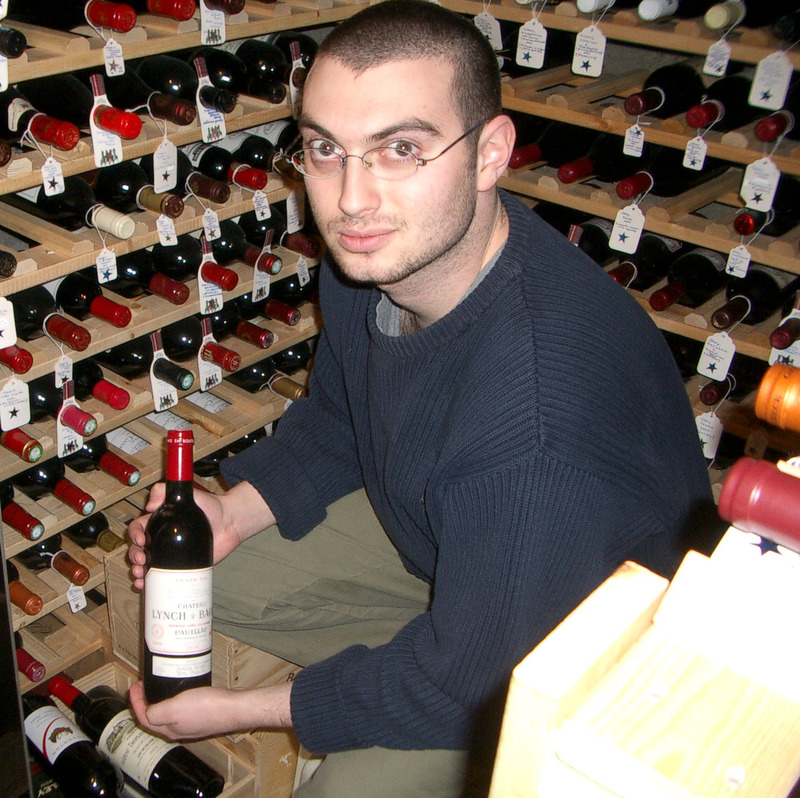 Think Côte-Rôtie, Hermitage, and Cornas. Throughout the very former, Syrah often takes on more fragrant, slightly smoky (even ‘roasted’) overtones. It is often softened with a small percentage of Viognier, which has the additional effects of adding to the fragrance and colour of the wine. In Hermitage, on the other hand, Syrah becomes much more powerful, concentrated, and extremely ageworthy. 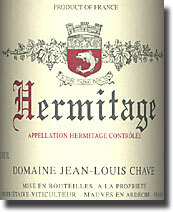 Taking very well to new French oak, as it does in Côte-Rôtie, young Hermitage will often display beguiling aromas of blackberries and fresh saddle leather, laced with an assortment of black fruits, subtle chocolate, and spice; as it ages, more gamy and cedary overtones tend to take over, yet the best wines will almost never lose their sense of richness, concentration, and raw power. As for Cornas, wines from this sometimes-underrated appellation tend to have more in common with Hermitage than collectors might think. Primary differences are namely greater ruggedness and more of a brooding attitude, and (perhaps) slightly less complexity. Either way, for top examples of Syrah, one need look no further than these three appellations. In the southern Rhône, Syrah takes on more of a supplementary role than a predominant one. In the top appellations of Châteauneuf-du-Pape and Gigondas, it accompanies Grenache—along with a dollop of Mourvèdre—in the blend. In other parts of southern France, Syrah often plays a similar role, adding structure and perfume to the wine. Outside of France, there is no shortage of places where this marvellous grape excels; yet few are more famous than the winegrowing regions of Australia. In this part of the world, the grape is almost always called ‘Shiraz,’ and tastes extremely different when compared to its counterparts in the Rhône. For those seeking sheer power, the Barossa Valley is your best bet. Here, centenarian vines provide for the most powerful, most concentrated, most alcoholic, and most flavourful Shiraz anywhere on earth. Oftentimes infused with eucalyptus, common aromas to watch out for, particularly in youthful examples, are rich dark (or milk) chocolate, black fruits, dark cherries, leather, vanilla, and spice. In the past, many Australian winemakers used to age Shiraz in American oak; though many are now switching to French in order to bring out fresher fruit characteristics and greater elegance in their wines. Outside of Barossa, Shiraz can be found almost everywhere in Australia. In South Australia—where the Barossa Valley is located, by the way—McLaren Vale often yields ever-so-slightly less powerful, oftentimes more velvety examples; while the Clare Valley tends to offer finer fruit clarity and precision, if not wines of similar weight to Barossa. In Coonawarra, more mint- and mineral-laden, as well as less alcoholic, wines tend to be found. Switching states, in New South Wales, Hunter Valley Shiraz, while not as widely available as its South Australian colleagues, can be just as rich and extracted, though oftentimes offering just a bit more grace and silkiness. In Western Australia, Margaret River Shiraz is not to be missed: like Coonawarra, this is a much cooler climate, only with much greater clarity and forwardness of fruit, plus less concentration and alcohol—a much more restrained style, if you ask me. As one can see, the choices for Shiraz in Australia are endless; and there are a host of other regions I have not even mentioned! After Australia, California comes next on the list of great New-World Syrah-Shiraz producers. For the most part, the grape goes by the name of ‘Syrah,’ with the best examples commonly bringing out the more white peppery, brambleberried, and ‘forested’ aromas of St-Joseph or Crozes-Hermitage in the northern Rhône, while at the same time tasting much riper, more supple, and assuredly higher in alcohol. And even then, the differences are easy to decipher: richer oak influence, more profound, purer varietal aromatics, and something of the reverse in terms of ‘Old World reservedness.’ Best regions for Californian Syrah? At present, most point to Paso Robles and Santa Barbara (and all of the sub-regions), yet Syrah can be found in various quantities throughout most winegrowing areas in California. As for the rest of the world? In Washington State, excellent Syrah can also be had, tasting just as rich as its Californian counterparts, yet at the same time possessing more balanced levels of acidity; not to mention a sort-of ‘coolness’ that perhaps comes as a result of significant day/night-time conditions. In South America, Chile has also shown enormous potential for crafting some of the best bottlings in the Southern Hemisphere, outside of Australia. 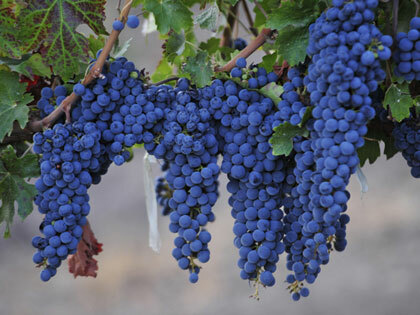 Though it hasn’t even been twenty years since the first plantings were assembled in the Aconcagua Valley, Syrah has since taken Chile by storm, the finest examples brimming with intense varietal characters, while concurrently often featuring amazing overtones of crème de cassis, ripe flowers, and (or course) new oak influences. In Argentina, even more Syrah is grown, though it has been said that excessive yields have only made for a handful of notable examples thus far. In South Africa, where the grape is sometimes labelled ‘Shiraz,’ promising endeavours have also begun to emerge. And even New Zealand is beginning to get the hang of Syrah, particularly in Hawkes Bay, with the best bottlings, though still rather peppery, managing to impress with their overall fruit clarity, structure, and refinement of texture. Ending our thoughts on this grape, even other places in Europe outside of France have shown remarkable results with ‘Syrah,’ as the grape is widely called in most regions. In Italy, premium—as well as some very cheap and downright lousy—examples can be found in most provinces. In Tuscany, up to twenty percent Syrah may be used in the Chianti blend; though Cabernet Sauvignon and Merlot are more common international grapes. At the same time, there is nowadays no shortage of Syrah-dominant (or exclusive) wines to be bought, especially throughout Tuscany, many with personalities all of their own. And the rest of Europe? Let’s just say there are plenty of other places not listed here. But what with the locales already mentioned, each with their own take on the grape, what does it matter?